This is going to be a quick one because it’s not really so much any sort of story but just a neat experience I had the other night with my good friend, Dave. The other night, Dave and I went out to Doc’s Bar for the weekly jam session and it was awesome. Dave and I share a pretty unique friendship that I have to come to put great value on. It started as two guys with good senses of humor dealing with the joys of teaching on a freshman wing in high school. Over time, our friendship became more than just making awful jokes (which we still do at every possible opportunity) but collaboration. My girlfriend has pointed out to me on several occasions that I have surrounded myself with outstanding and very unique people as my friends. Dave certainly qualifies. The guy is just this awesome math teacher and so very intelligent that sometimes I swear he’d be part Vulcan if wasn’t for his insane sense of humor. Dave is also extremely talented when it comes to music. The guy plays a little of everything but mostly guitar and the recorder. Now, I have a long history of disliking the recorder. It goes back to middle school band in the 70s when we were all started out on the recorder and goes up through my wacky Californian uncle and how he got into medieval music about the same time. Dave has had to tolerate a lot grief regarding my “prejudice” towards his recorder but the truth is that he is pretty amazing at it. The other night during the jam session I had one of those rare moments that occur in life. 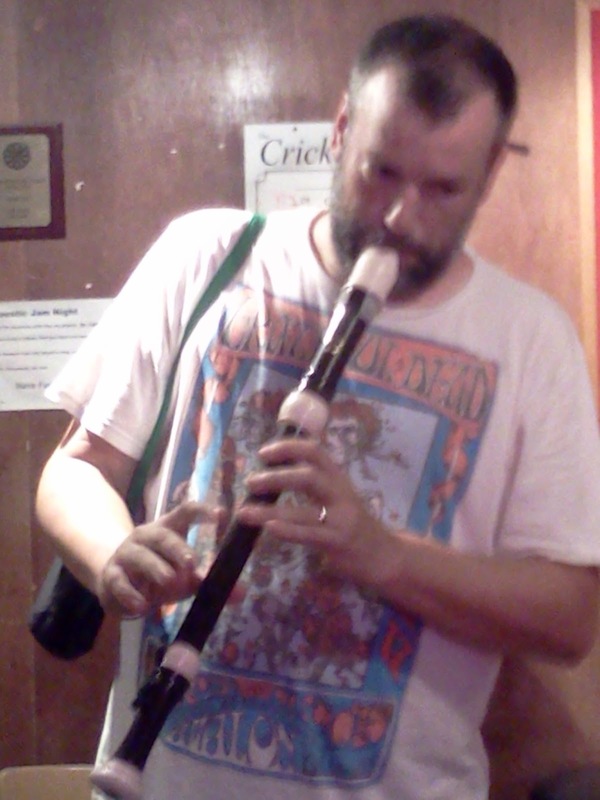 I got to see Dave at his best and happiest as he played his recorder. Words can’t honestly describe how cool the scene was involving my friend. 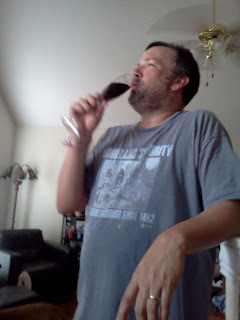 There was a palpable energy that came from the joy Dave was exuding. I realize that is some fancy words but it honestly sums up what I saw. I think it’s important to recognize when those type of moments occur because it happens so rarely and is also such a moment of seeing that person at their very best. Thanks for sharing that moment with me, Dave.